Indian film director and cinematographer who was nominated for a Filmfare Award for Best Director for his work on Chennai Express. The film became the 4th highest grossing Bollywood film worldwide. He began his career in film as an assistant director when he was 17 years old. His debut feature as a director is called Zameen. He was a judge on the television series Comedy Circus and became a host for Fear Factor: Khatron Ke Khiladi in 2014. He and his four sisters were born to Ratna Shetty, a Bollywood junior artiste, and M. B. Shetty, a movie fight choreographer. 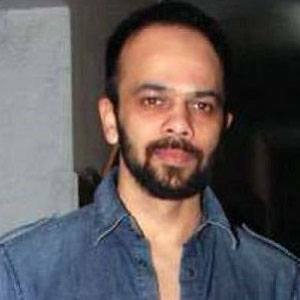 In May 2005 he married Maya Rohit Shetty. His third film, Sunday, starred Ayesha Takia.